Restore a youthful appearance to skin with the NIOD Voicemail Masque; a leave-on masque designed to be applied before bed. Working whilst the complexion is most receptive to repair, the face mask glides onto skin and seeks to reveal a healthy and rejuvenated visage by morning. Fortified with highly-purified Polyphenols and an array of plant cells from Mountain Flowers and Narrowleaf Plantain, the leave-on treatment combats the effects of impaired cellular communication, including dull and ageing skin. Many topical formulation overlook the importance of communication between healthy cells in the body. From the first use, expect the nightly mask to reveal an awakened complexion that appears calm, bright and uniform. Free from alcohol, oil, nuts and cruelty. Suitable for vegans. Use twice weekly at nighttime only. 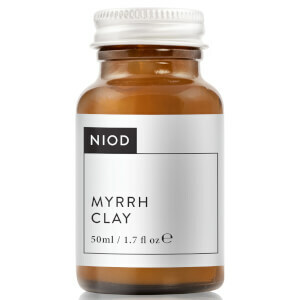 If used as part of a NIOD regimen, apply CAIS/MMHC first and then apply a thin layer of this masque over the entire face, avoiding direct eye contact. 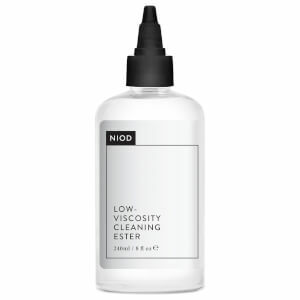 Outside of a NIOD regimen, apply over lighter serums and avoid application of thicker cream formulations. Massage for about 20-40 seconds. Do not apply other products over VM. Do not rinse off until the AM. VM is not recommended for very oily skin types and should not be applied on peeling or irritated skin.